Far from the souvenir stands, yet hardly any distance from Sacré-Coeur, you’ll find the Musée de Montmartre, one of the most charming museums in Paris. (I adore this museum). 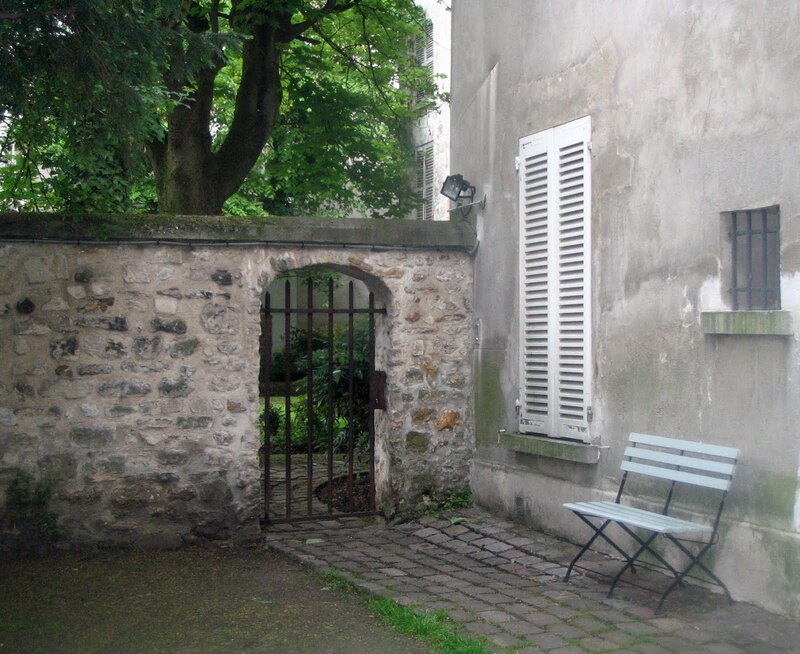 Sitting beside Montmartre’s last surviving vineyard (ah, the wine festival every October), this little museum was once the home or studio of many artists and musicians…Renoir, Dufy, Suzanne Valadon, Maurice Utrillo, Poulbot, … (Satie’s room was at No. 6 rue Cortot next door and he had a six month liaison with Valadon - just some outdated gossip). 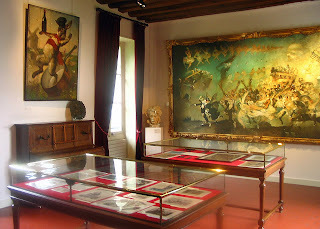 The museum is housed in the Maison de Rosimond, a building that once belonged to Claude de La Rose, known as Rosimond, (1640-1686) a writer and actor in Molière’s troop. (Some say he died on stage à la Molière, while other sources say he died in a tavern. All seem to agree on his dates, however, which gives us a good idea on the age of the building). From the politics of the Commune to the cabarets and music halls, the history of Montmartre is laid out through posters, ephemera, sculpture, china and documents. There is even a recreation of a 19th century bistro as well as a scale model of Montmartre before it was incorporated into Paris (1860). If you’ve never been to this museum or visited the rue Cortot, you’ll be amazed at the small village atmosphere you’ll find on this street. You can easily imagine how Montmartre once was a place “away from it all” where artists could afford to live, and real city life seemed far away. It’s not hard to imagine the Belle Époque, the painters in the garden, the cafés at night. This little gem of a museum has had its difficulties. With a relatively small amount of visitors every year (50,000), the museum was on the brink of bankruptcy in 2009. Now, I believe, an investor has been found and the museum is going to get the funds it needs to stay alive. Renovations, expansion, and more are in the works. Bravo! 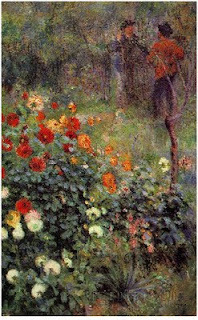 It would be a shame for visitors not to have the opportunity to sit where Renoir painted, and enjoy the history and atmosphere of old Montmartre. Glad you liked it. It's one of my favorite spots in Paris. I was thrilled to see the film footage of the Impressionists. Good thing Guitry did us this favor!